Showing 21 to 30 of 45 posts. 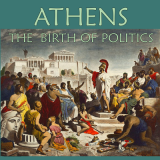 Up and Away Games had recently released Athens: the Birth of Politics, in this game players struggle with Persians, Spartans and their own people as they build their empire. 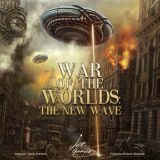 Cooperate and compete to manage its fortunes, especially its politics, wars and government. Players must constantly balance personal advancement against the security of the state. They trade and fight to build up the empire, vie for power in the Assembly and on the battlefield. But to grow in size and power only attracts the unwelcome attention of rivals, not just your opponents, but also foreign powers like Persia, Syracuse, Thebes and most deadly of all, Sparta. 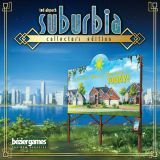 Bézier Games has announced a Collector's Edition of their city building game, Suburbia. This version of the game will include the two Suburbia expansions Suburbia Inc and Suburbia 5*, and the two mini expansions "Essen SPIEL" and "Con Tiles", and a new expansion aswell, "Nightlife" which like the name suggests, will focus on locations are that are more active in the evening hours. 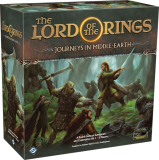 The game has been redesigned with 3D artwork, which will be printed on much larger tiles than the regular version. Reiner Knizia, the genius behind titles like Tigris & Euphrates, Ra, and Samurai, will be releasing a brand new card game, LAMA (acronym for "Lege Alle Minuspunkte Ab", "drop off all the minus points"), in 2019.